The Melbourne Spring Racing Carnival was in full action last week at Flemingto with outstanding racing in our Melbourne Racing tips and a look at some of the big movers for Caulfield Cup tips. Join our Melbourne Spring Racing Carnival team and our Melbourne Racing Tips with our Exclusive Limited Offer of only $79 which includes all the big racing including Melbourne Cup and Caulfield Cup tips. 6 winners last week at headquarters at Flemington in our Melbourne Racing tips to go on the back of 10 winners at Caulfield and Moonee Valley the week prior as part of the Melbourne Spring Racing Carnival. Saturday 30 September – Sunset Watch $2.70, I Am A Star $2, Leonardo Da Hinchen $2.15, Viddora $11 – Moir Stakes. Winx was the star of the Melbourne Spring Racing Carnival meeting at Flemington last Saturday is a super win in the Turnball Stakes with an incredible come from behind win and ran her last 200m in 10.87 seconds in doing so. The other big run from the race was 4 year old mare Youngstar who ran a superb second to Winx and in doing so cemented her spot as favourite for the Caulfield Cup at $6 along with Kings Will Dream now out to $6. Kings Will Dream took the rails in the Turnball which was not the better going for the day. Other big Melbourne Racing tips winners were Avilius in the Bart Cummings over 2500m as a Pete Brinky 3 star Melbourne Racing tips BEST BET and with that win is now exempt for the Melbourne Cup. Invincibella won the last of the day in nice fashion as a 2 star Strong Bet and Amphritite was a nice winner and a 2 star Strong Bet in the 3 year old filly race the Edward Manifold and along with the third place Verry Ellegant both adopt commanding positions in the Victoria Oaks market on the Thursday after Melbourne Cup. Saturday 20 October is the Caulfield Cup and a cracking field has been assembled for this fantastic Group 1 race worth a record $5 million as part of the Melbourne Spring Racing Carnival. 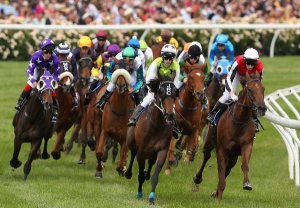 This Saturday however Melbourne Racing will be focused on lead up race that will strongly indicate our Caulfield Cup tips, the Caulfield Stakes. Then go to Melbourne Spring Racing Carnival. Follow the prompts and you are on board with the team.